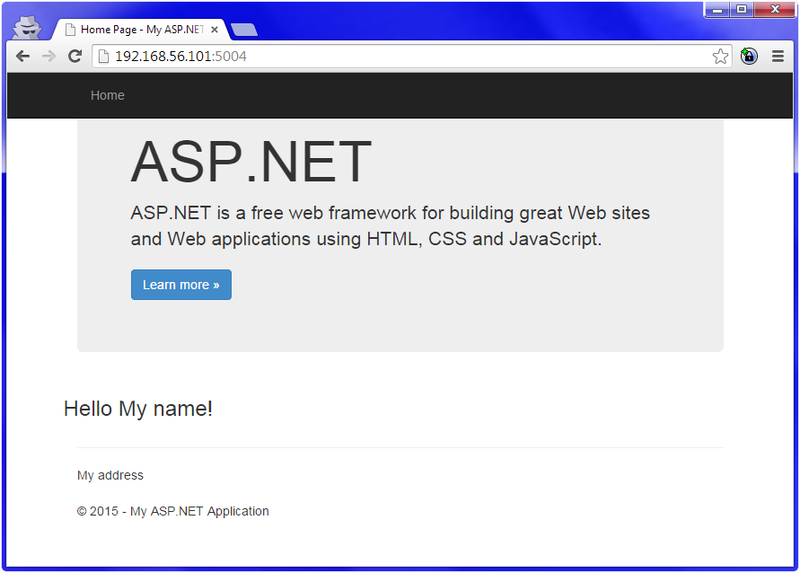 We will be following the steps outline in the Install Mono on Linux guide and the ASP.NET 5 Getting Started guide. This was remedied by downloading, compiling, and installing libuv. In particular, libuv needs to be installed (or symlinked) to /usr/lib/libuv.so.1 for everything to work correctly. So without further ado, here is a quick step-by-step guide to Running MVC5 applications on Ubuntu Server (14.04.1 LTS). First, install Mono. These steps are pulled straight from the Install Mono on Linux guide. Next we install the rest of the dependencies. autoconf, build-essential, and git-core are necessary to build and install libuv. These steps are pulled from the ASP.NET 5 Getting Started guide. Here we could call it a day, since your Ubuntu system is now set up to run ASP.NET 5 applications. Why don't we follow through with the rest of the guide so we can see it working?